Your Wedding Day is suppose to be one of the Happiest Days of Your Lives. However the lead up to the Big Day can also be one of the most stressful times of your life. 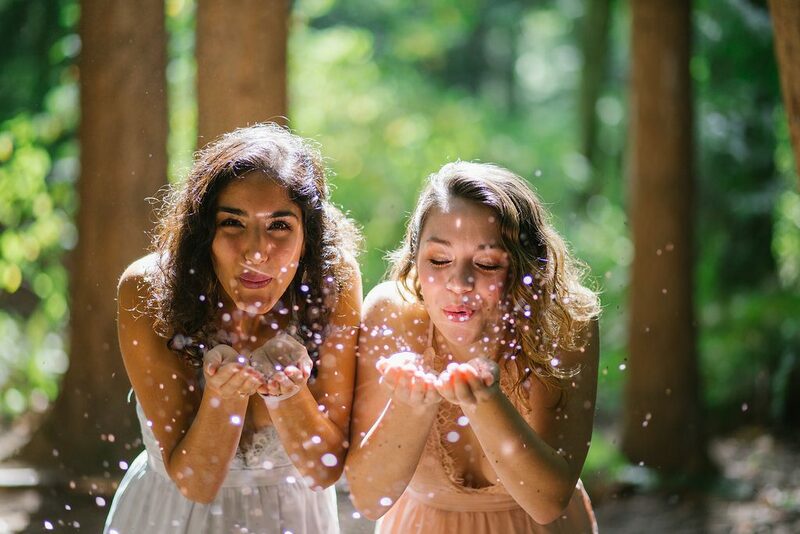 Spa it Girl caught up with wedwell co-founder, Lilia and Olivia to find out their go-to tips on how you can stay healthy and well in the lead up to your Wedding Day. Lilia is engaged right now and noticed that the wedding industry is completely divided into planning the wedding or losing weight. While experiencing this wedding related stress and sharing these pains with her bff, Olivia, Lilia and Olivia developed wedwell. wedwell offers in-person and digital services for brides-to-be and their “goddess gang”. 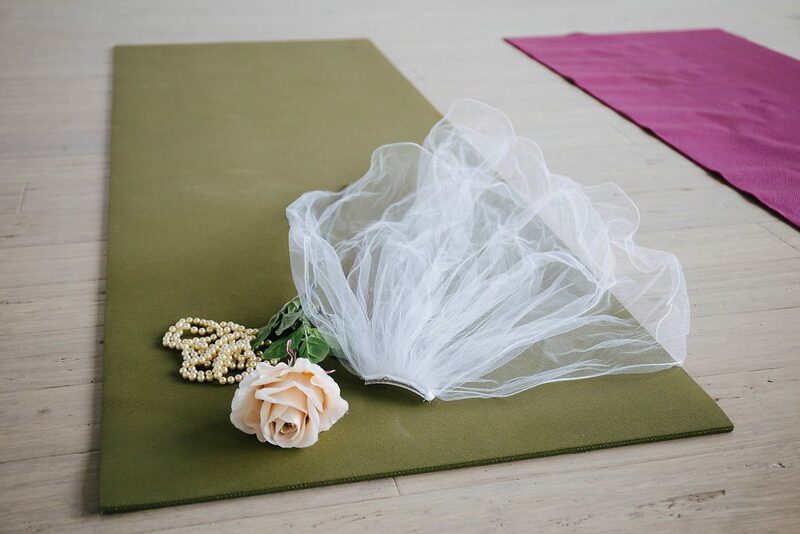 Their in-person services include cutely named yoga sessions for your bachelorette party (like “Happy Heart” and “Bridal Booty” classes), and no yoga experience is required. Their first digital service (launching in March!) is a downloadable Bridal Wellness Guide. It’s the perfect gift for the newly engaged bride because it teaches how to navigate being engaged and gives the bride-to-be space to write and reflect. You can sign up for pre-order of the guides online and receive a 15% discount. At wedwell we believe love should be at the center of all relationships. However, for many brides-to-be, this phase of life not only brings love, but unneeded stress and unrealistic body image expectations. Find some way to tune in or relax every night. For me, it switches depending on my schedule, but I love taking a nightly bath with essential oils or flower essences, or going to a 30-min meditation class from MNDFL in Brooklyn. And when I’m especially frustrated or need a good laugh, I end up facetiming my best friend/co-founder of wedwell, Olivia, and get to hear her perspective- which typically brings me down to earth! 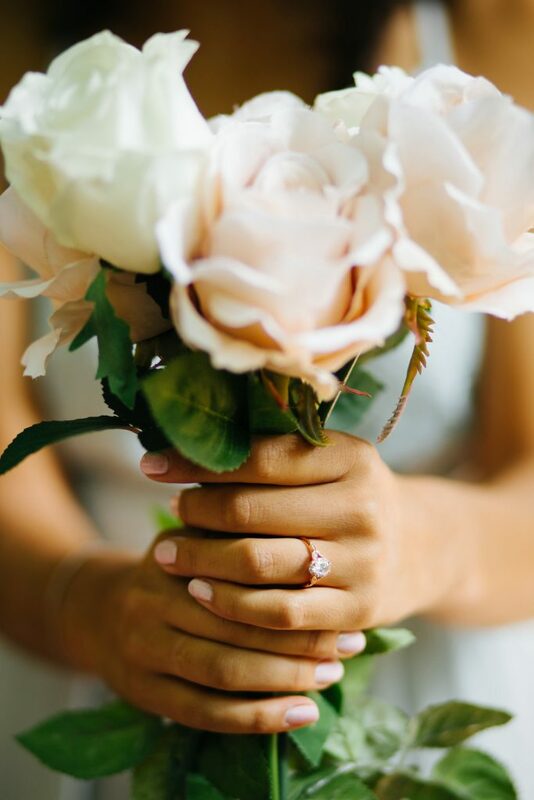 Our wedwell guide launching in March gives great tips on how to set routines around self-care practices leading up to your big day, which has been extremely helpful for me during this process! Enjoy time with your fiance. My fiance and I try to make wedding planning a fun process by merging it with an activity and making it a “date”! We enjoy going to a rock climbing gym together, and once our arms are too sore to climb, we take a break and whip out laptops and talk about wedding details. Having daily quality time together is a perfect reminder of why we are actually getting married in the first place! Move your body. Our bodies hold onto stress and tension, and it’s necessary for us to relieve the stress that comes with choosing your guest list, going over wedding budget, and family disagreements. 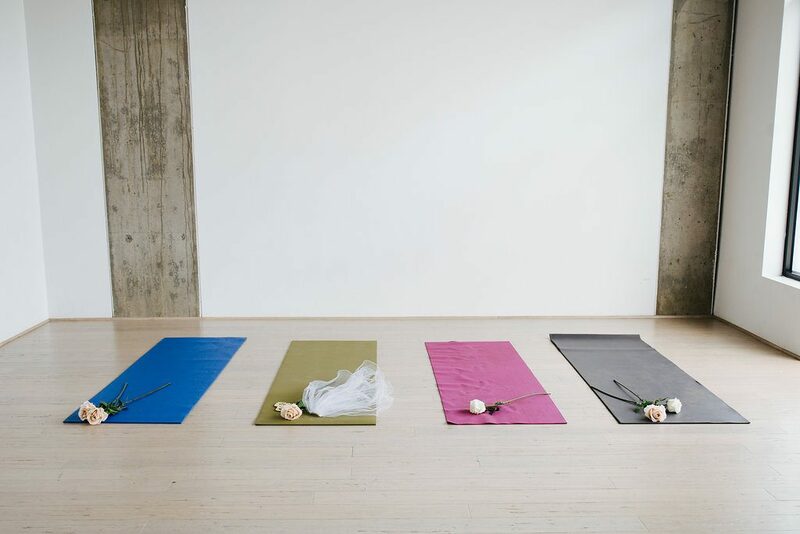 Yoga is a daily practice for me – if I’m not teaching yoga, I’m taking a class. My fiance and I are also climbing Mt. Rainier one month before our wedding (I know, we are absolutely crazy! ), so this has been the perfect excuse to exercise and have a major motivation for my workouts. Remember your purpose outside of the wedding. Around the same time I got engaged, I also started wedwell, a company founded on wedding wellness (because I felt the wedding stress right away! ), and this allows me to focus time and energy not just on my wedding, but other passions in life and starting a business. If the wedding becomes your only focus, it becomes much too stressful and your expectations go out the roof. Have hobbies and passions that keep your perspective in check! 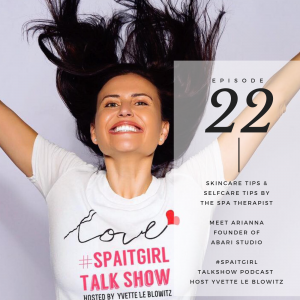 Hashtag #spaitgirl when practicing your wedwell go-to Wedding Wellness tips or services.